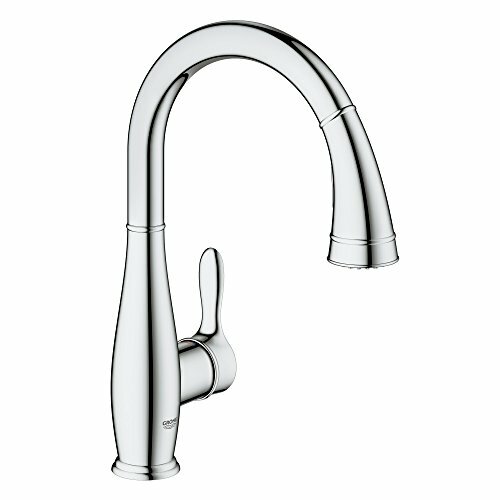 46092000 Features: Application: -Bathroom faucet/Kitchen faucet. 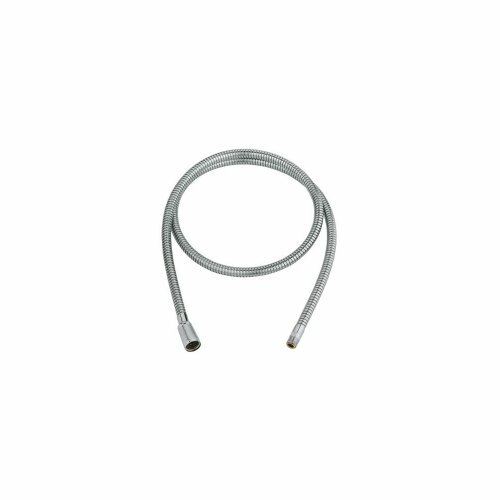 Product Type: -Hose. Finish: -Chrome. -For use with Ladylux or Europlus products. -Replacement part. -For kitchen faucets. -Metal hose. -With extractible outlet. Dimensions: Overall Product Weight: -1.13 lbs. Overall Depth - Front to Back: -59". 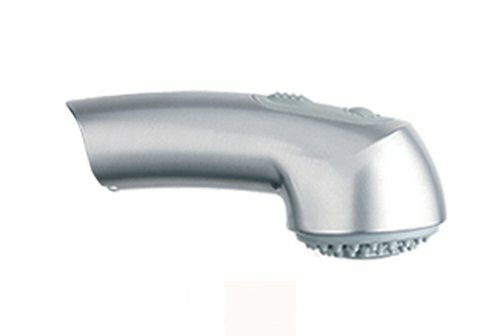 Ladylux Plus Kitchen Faucet Hand Spray. Kitchen Faucet Hand Spray. LADYLUX PLUS BLK HANDSPRAY -KITCHEN. Replacement Part. The fluid lines and elegantly-arched gooseneck design of the Ladylux3 Pro Dual Spray Pull-Down faucet is perfectly sized for use as a secondary sink. The faucet measures 14 9/16-in. tall and features a swivel spout, with a reach extending 7-5/16-in. The spout incorporates a pull-down spray head with locking push-button control that easily transitions between regular flow and spray functions. GROHE SpeedClean technology provides for easy maintenance by protecting the spray nozzle against limescale buildup. 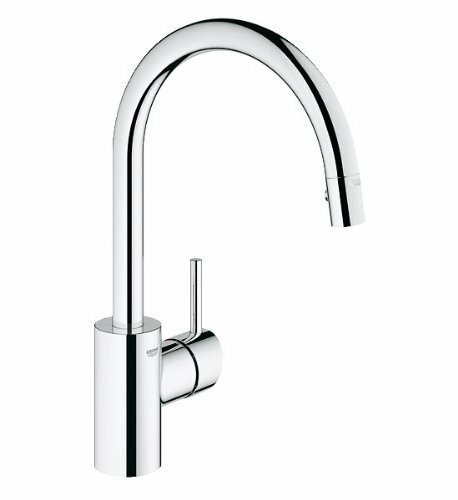 Equipped with GROHE SilkMove for a lifetime of smooth operation technology for effortless precision, the arched side handle controls the water temperature and volume, with forward-rotating activation to eliminate issues with backsplash clearance. 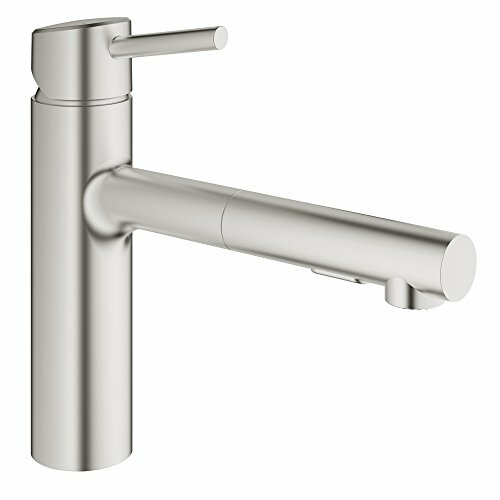 Ladylux3 Pro Dual Spray Pull-Down faucet has a 1.75 gpm flow rate and is made of durable, solid brass. 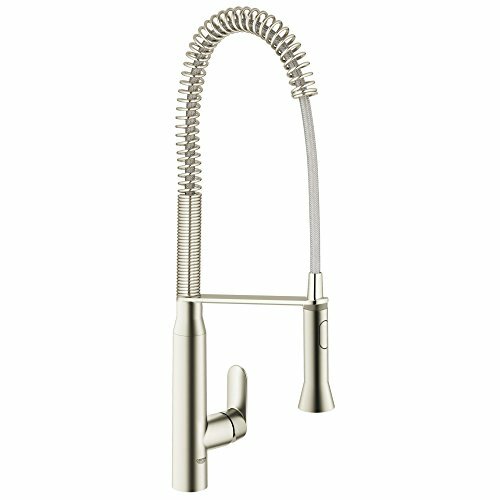 The perfect assistant to at-home chefs, the K7 single-handle semi-pro kitchen faucet boasts pro-style functionality in an industrially chic design. Standing 26-1/2 in. tall, it makes a statement in any kitchen in both presence and usage. A key highlight is a professional spray head that pulls out and can be maneuvered 360 degrees for wide coverage. Locking spray control and a push button allow users to transition easily between stream and spray modes, and GROHE SpeedClean keeps the spray nozzles free of limescale buildup. When not in use, the spray head is held in place with an arm that swivels 140 degrees. A GROHE SilkMove for a lifetime of smooth operation cartridge in the lever handle ensures smooth, precise control of the water temperature and volume. K7 has a flow rate of 1.75 gpm and is available in durable SuperSteel InfinityFinish. Value-driven Concerto OHM Eco kitchen pullout faucet combines clean, contemporary good looks, with water-saving performance The sleek gooseneck spout swivels 140 degrees for enhanced accessibility and incorporates a pullout (pull-down) Sprayhead that is outfitted with an adjustable flow rate limiter The maximum flow rate is 15 gym The lever handle moves with smooth precision, thanks to a Groh Silk Move ceramic cartridge and allows one-finger control of water temperature and volume Concerto OHM Eco is available in lustrous Groh Starlight Chrome, which resists scratches and tarnishing for years to come. 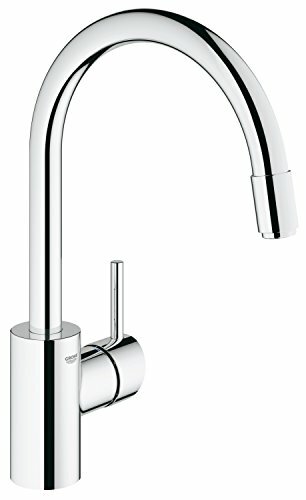 Compare prices on Grohe Kitchen Sink at ShoppinGent.com – use promo codes and coupons for best offers and deals. Start smart buying with ShoppinGent.com right now and choose your golden price on every purchase.